While most of us are content with following their new year traditions, some of us are also looking for ways to start another year with a new twist! Here, we’ll give you some ideas on how to start your 2017 full of colours and creativity. What’s even better is that you can hone your creative skills and put them to test with these activities! Don’t you ever just look at artists’ Instagram feed and envy how they can easily create pretty, colourful and Instagram-worthy journal entries? Say no more! Start your 2017 with fun stickers and memorable journal entries. Now the question is, how do I start my journaling journey? Here are few tips and tricks on how you can create your own beautiful and personal journal. Start creating memories. Every day is a new day and whether you’ve done something new or you just lounged around at home, it’s all worth a journal entry. Let the creativity flow. We all have our unique sense of creativity. Some people like intricate designs which are complicated and some enjoy comical features. Whatever your personal preferences are in aesthetic, just let your mind wander and gather creative inspiration and you’ll never run out of ideas for your entries! Always have a notebook and pen ready. You never know what will happen throughout the day so you want to be ready for any ideas that might come your way. Collect stickers and other stationery accessories. You can never go wrong with having a little bit of fun with your journal entries! Be consistent. You can’t develop a habit if you are not consistent with it. Keep on writing. Patience and perseverance are the keys to a successful journaling journey. Wherever you may be, take the time to just sit down and jot notes of your daily progress. Last year, adult colouring books and stress-relieving colouring patterns became a huge hit in the creative market. This year, you can try out a new way of de-stressing after a long day of hard work! Calligraphy and Hand Lettering are mostly known to be done by artists only. But that doesn’t mean it’s not for the rest of us! These creative activities help soothe and calm our ruckus minds while we undergo the process of learning it. Just like every aspect of life, its concept is very dynamic and changes from time to time with how our society quickly evolves. Letter designs are constantly changing by the influence of people’s emotions, thoughts and perspective. With these, you can easily free your thoughts and let those emotions inspire you to create your very own letter designs. Pencil and ruler for when you draft your work. Quotes that inspire you or even your own wise words will do! Grab all these tools and add patience and perseverance then you’re all set for the long learning process. Always remember, every day is a work in progress and so are you! Other than daily journaling, creating your own annual scrapbook is another way of documenting your life and collecting memories. In the world full of technology, Facebook and Instagram, scrapbooks have been long forgotten. But it’s nice to have a little bit of old school once in a while right? 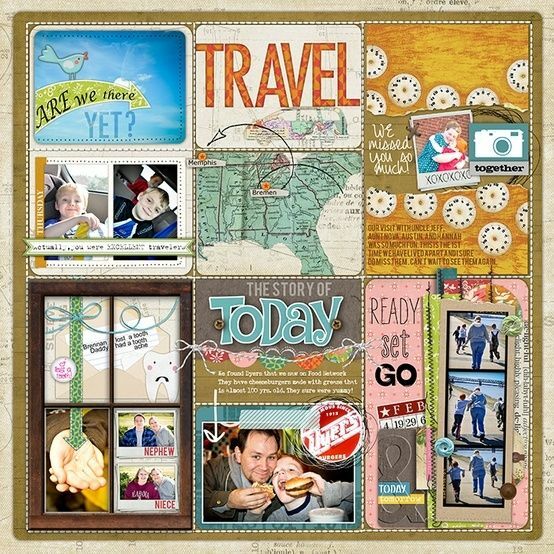 Unlike journaling, a scrapbook mostly contains photographs and collages paired with your personal theme or aesthetic. Stickers and other stationery accessories you can find! Whatever creative activity you choose to do this year, the most important thing of all is to have fun and enjoy the process! It’s always important to make time for yourself and just enjoy the journey called life. What activity are you trying out this 2017? Tweet us @Fuzzable we’d love to see all of your creative work!